A graduate of the University of Washington Business school, Todd brings his experience in Accounting and Finance to the company. 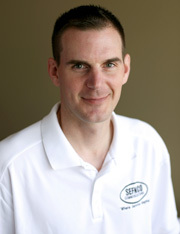 He enjoys the family atmosphere of SEFNCO and is in his 10th year with the company. In his free time Todd enjoys spending time with his family and playing golf.